The pharmacy is open Monday through Saturday to offer long-term care pharmacy services. We are available 24/7-365 days a year through an on-call system. MDS Pharmacy LTC utilizes two styles of dispensing systems. 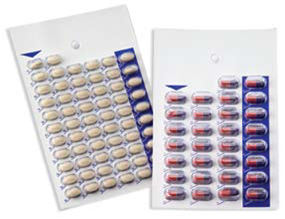 Both creditable systems have each dose hermetically sealed for integrity, individually labeled and bar coded. The 30-day punch card or blister pack system. The 14-30-day unit dose box/system. •Auto replenishing – The pharmacy will send out all routine medications monthly 2-4 days prior to the scheduled date of need. •Re-order on demand – The dispensing system will contain a prompt for the staff to let them know only 4 days worth of the med are left. A reorder tag is pulled and transmitted to the pharmacy for filling. •Cycle fill – Once a month the facility will receive a bulk shipment of their resident’s routine meds. 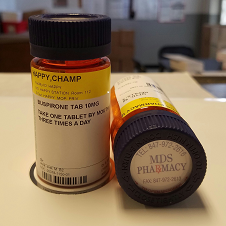 New orders placed will be delivered as they are received at the pharmacy, but short filled so as to fall into the facility’s normal fill cycle. MDS Pharmacy LTC provides customized medical records and onsite training of your staff in their use. Our medical record staff will work under the direction of the facility nursing administration for placement of specific items on the medical records. MAR’s, TAR’s and reports are customized to your needs. MDS Pharmacy LTC utilizes our own drivers and vehicles to deliver to facilities. A daily scheduled delivery occurs Monday thru Saturday. Sundays or additional deliveries occur as emergencies arise. Our drivers will check in orders against a delivery manifest with the assistance of facility personnel.